We’ve supported the efforts of Heather Crosby and YumUniverse for the past 8 years and have enjoyed every minute of it. The site is on its fourth iteration, as it continues to expand and improve to follow Heather’s vision for her empire. YumUniverse is home to a very engaged blog that is full of plant-based recipes with tempting images and clear instructions. Ebooks and meal plans are also available for purchase via WooCommerce for those who are looking for guidance in their plant-based nutrition journey. Full membership, available through WooCommerce Subscriptions, gives users access to everything available on the site, now and forever. 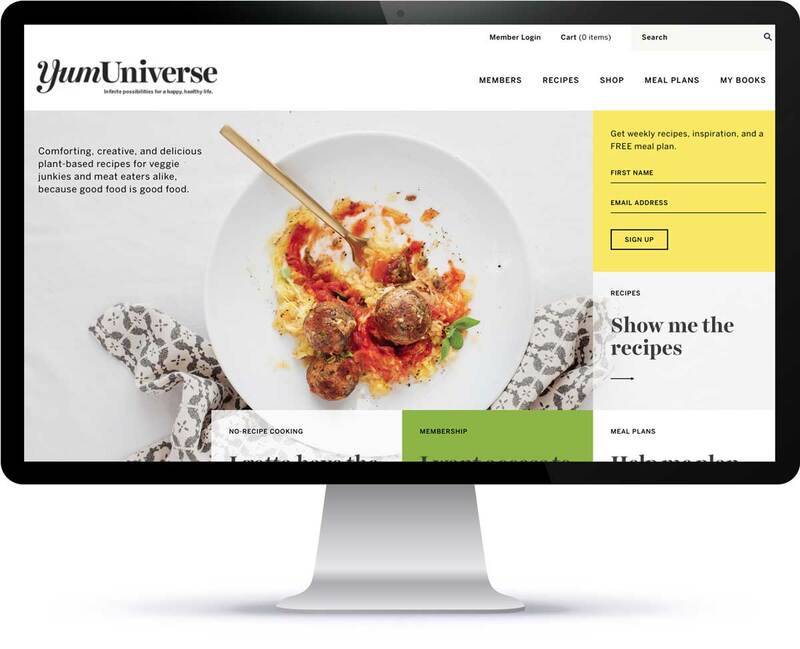 YumUniverse is visited over 100,000 times per month and its visitors are engaged. To ensure the site remains available to users, even during traffic spikes, we set up Heather with a solid hosting plan at WP Engine and monitor the health of her site continuously via our maintenance plan. Be sure to also check out Heather’s spinoff e-learning site, Gluten Free Baking Academy.